We’re taking a peek inside the classroom to offer students a sampling of what they might experience. 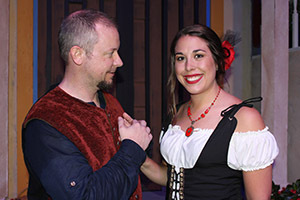 This week we visited a dress rehearsal for TCC Theatre’s Shakespeare in the Grove production of “Much Ado About Nothing,” debuting on June 21 at the Grove Theatre on the Chesapeake Campus. 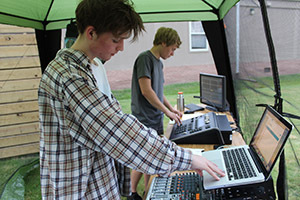 Students in Outdoor Drama (CST 266) study production techniques through participation as actors and technicians in outdoor theater. They gain hands-on experience and classroom instruction in acting, set construction, scene painting, costumes, lighting and sound. They also learn public speaking and teamwork skills by participating in live theater with community actors. “Much Ado” sound and lighting crew members. For those seeking an acting role, it’s important to brush up on your knowledge of Shakespeare’s plays to get comfortable with the language. 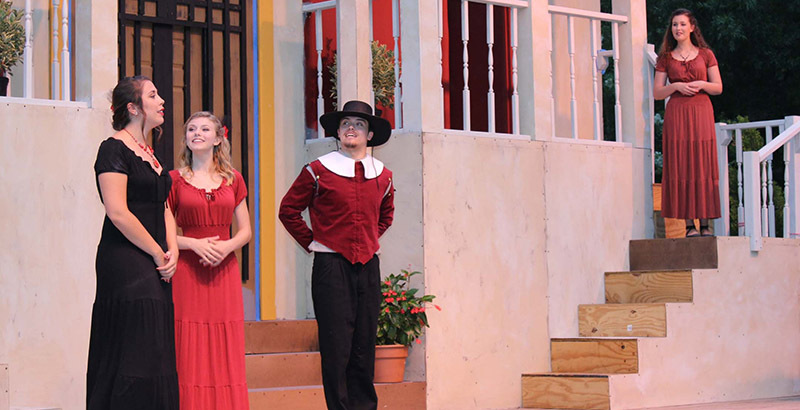 “Much Ado About Nothing” focuses on the courtship and scandal involving young Hero and her suitor, Claudio, and features a witty war of words between Claudio’s friend, Benedick, and Hero’s cousin, Beatrice. Nothing” at the Grove Theatre. 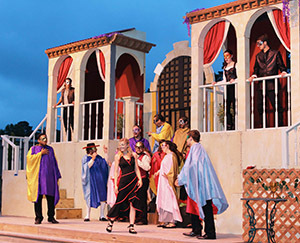 Shakespeare set his play in Sicily, but TCC’s production takes the audience to Spain, with brightly colored Flamenco-inspired costumes and sets. 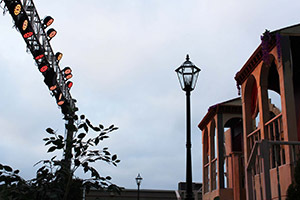 Free, outdoor public performances will be held June 21-25 starting at 8 p.m., weather permitting. Performances will take place at the Grove Theatre, located behind the Pass Building on TCC’s Chesapeake Campus, 1428 Cedar Road. Guests are encouraged to bring lawn chairs, blankets and a picnic dinner; insect repellent is also recommended.